Why do these four extremely busy and powerful executives place fitness at the top of their priorities list? Because leaders who are physically fit are better able to handle the enormous demands and pressures that confront them, including endless meetings, grueling travel schedules, high pressure, and stress. For years, The Cooper Wellness Program in Texas has taught high-level executives (including President Bush) the financial benefits of a fitness program. 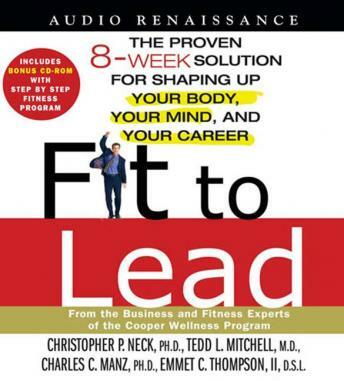 Now this two cd plus one cd-Rom program brings an eight-week, three-part fitness formula to executives across the nation, using the best knowledge available to help busy leaders achieve not just the obvious health benefits, but more effective performance on the job.